So, in my other life, I’m a graphic designer. 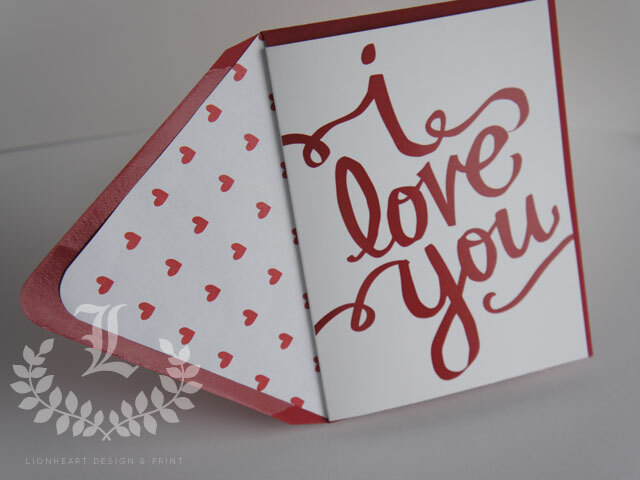 Recently I’ve launched a line of stationery and paper products starting with a collection of Valentine’s Day cards. 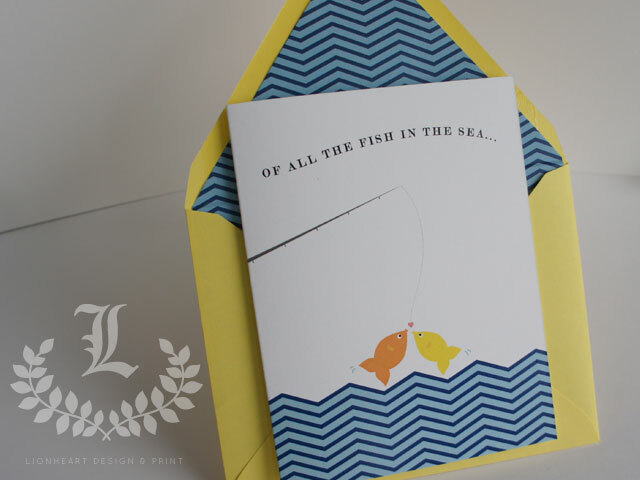 Designed, printed and packaged locally here in the great city of New Orleans, Lionheart Prints delivers messages of love with exuberance. The designs are printed on super-smooth thicker-than-it-needs-to-be 110lb stock and come with a single envelope. 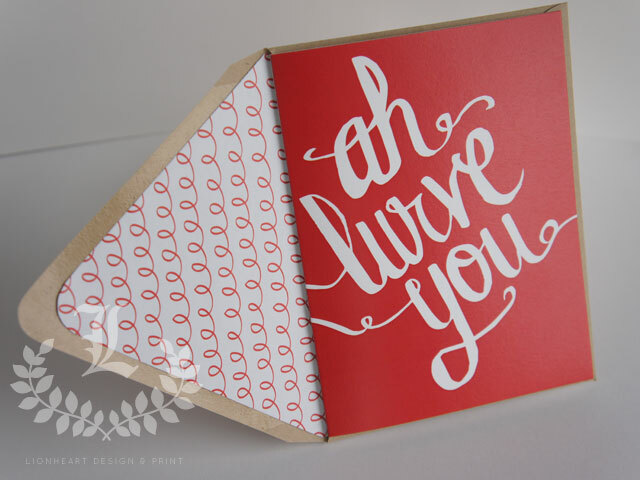 I designed coordinating envelope liners to make em even lovelier. “I like like you” and “Fish in the Sea” are designed in Illustrator. Of All the Fish in the Sea, I’m so glad you’re the one for me. The cursive designs are painted by hand, scanned into the computer and digitally doctored. 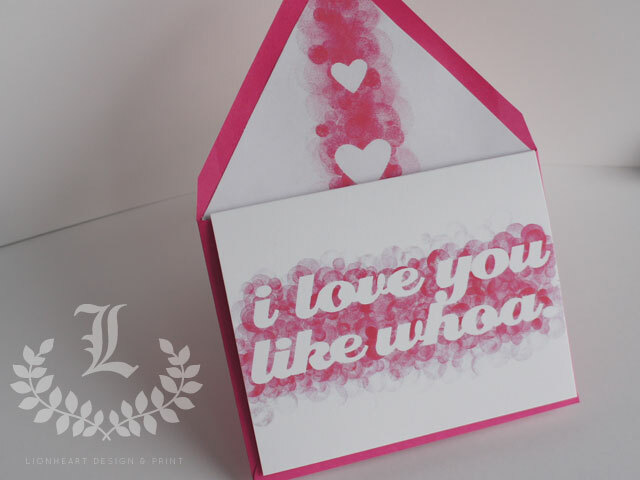 “Love you like whoa” typography was set by hand and embellished with stamps. Hey, maybe I’ll even write a post on how I made it. Would you like that? Lemme know! 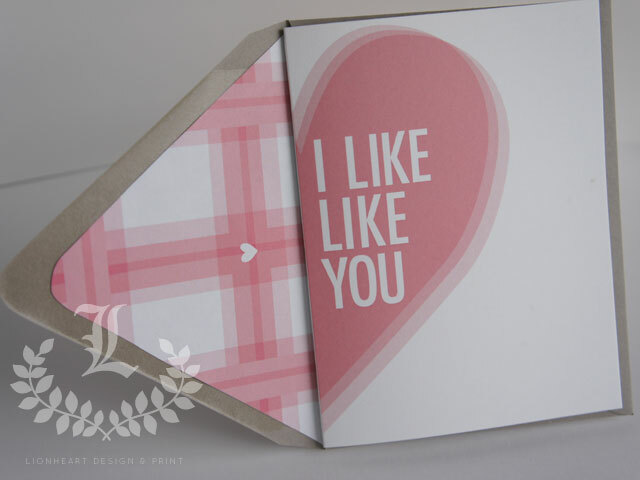 Posted in Crafting, Graphic Design, Relationships and tagged buylocal, calligraphy, cursive, etsy, funny, graphicdesign, handmade, handwriting, illustrator, iloveyou, indesign, localart, love, lurve, photoshop, shoplocal, valentine, Valentinesday. Bookmark the permalink. These are fabulous, I would love to see how you made them! Congrats! Thank you thank you, boo! !